KATHMANDU, March 7: Irked by the Saptari incident, the United Democratic Madhesi Front (UDMF) leaders have threatened to withdraw their support to the Pushpa Kamal Dahal-led government. 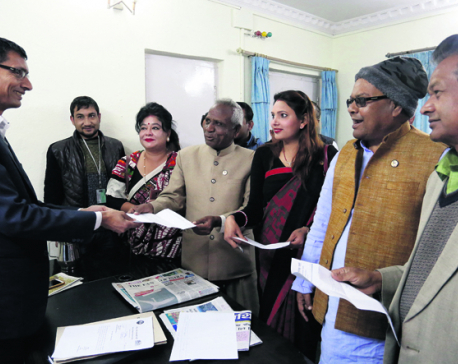 An emergency UDMF meeting held in the capital on Monday evening discussed the option of withdrawing support to the government, said Chairman of Madhesi People’s Right Forum Republic, Raj Kishor Yadav. “There was a strong demand for withdrawing support to the government in the meeting. We will take an appropriate decision on the matter only on Tuesday afternoon,” Yadav told Republica. According to Yadav, the meeting didn’t decide, as reported by some media, to withdraw support to the government as chairmen of two constituent parties of the UDMF were outside Kathmandu on Monday. Chairman of Tarai Madhes Democratic Party Mahantha Thakur and Chairman of Rastriya Madhes Shadbhawana Party Sarat Singh Bhandari, who were outside Kathmandu, have been summoned to the capital for the meeting. 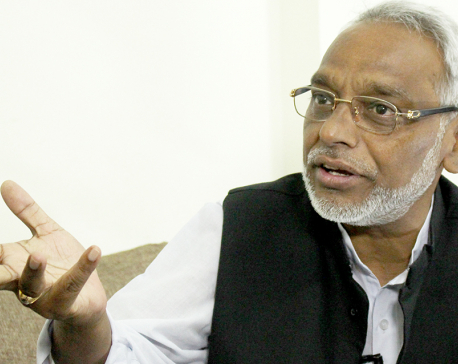 General Secretary of Rastriya Madhes Samajbadi Party, Keshav Jha said that the UDMF is likely to withdraw its support to the Dahal-led government. However, the ruling coalition will still have a comfortable majority in the House even without the support of the UDMF. UDMF had decided to support Dahal to become the Prime Minister following a three-point agreement between ruling Nepali Congress (NC) and CPN (Maoist Center) in August. The UDMF has also decided to impose general strike across Madhes for two days to protest against the suppression of their cadres in Saptari district. The agitating parties have held the main opposition CPN-UML responsible for the incident.